When you file a request to retrieve medical records, the records you receive will originate from one of two formats: paper records or electronic records. Paper records are often converted to a digital file, such as a pdf or other type of scan, for transmission and delivery. Electronic medical records (EMRs) and electronic health records (EHRs) are sometimes printed on paper in preparation for transmission and delivery. The Records Company retrieves and delivers medical records in all formats and from all sources. However, because both electronic and paper records are often presented via computer, it is important to know the original format of the source material. The source of a file may have crucial implications for a given legal case. Paper records and EMRs may appear similar if they are all delivered in digital file formats, but their primary difference lies in the way they are input and stored. Paper records are often handwritten or printed on paper for storage at a hospital or medical practice. EMRs and EHRs use specialized software on hospital and office computers, where patient information is recorded directly. 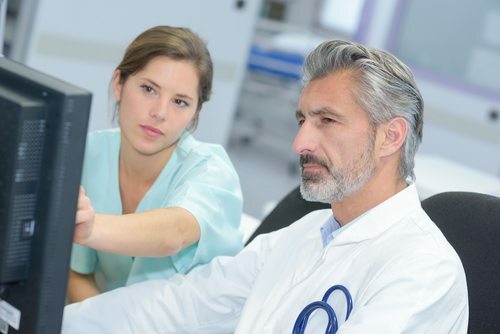 An EMR usually refers to patient history associated with an individual medical practice, while an EHR collects information from all care providers for a patient. For example, an EHR might comprise records from a primary care provider and from specialists a patient visits within a hospital or network. 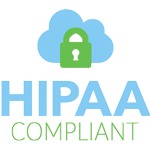 In practice, complete medical records usually contain both electronic and paper components. 2014 federal legislation requires healthcare providers to demonstrate “meaningful use” of EMR systems to maintain their Medicare and Medicaid reimbursement levels, but “meaningful” doesn’t mean “exclusive.” Many hospitals and practices are expanding their use of EMR systems, but the evolution is ongoing and sometimes difficult, which requires legal teams to be vigilant when ensuring records are complete. Older records are likely to have originated on paper, but later records may be EMRs or paper records or a hybrid, depending on where they’re coming from, when the records were created, and the records’ original purpose. EMRs and EHRs have some shortcomings that make them vulnerable as evidence in litigation. In some instances, printed versions of electronic records don’t contain all the information used in decision-making, such as drop down menus visible in the software interface and some communications between practitioners. Some EMR and EHR systems don’t adequately synchronize information from multiple providers and sources. EMRs and EHRs do come with a trove of information pertinent to litigation. Metadata reveals when records are created, accessed, and acted upon. Metadata indicates timeliness of record-keeping and activity, which can be valuable to a case. Knowing about the original format of the medical records you receive lets you know what to look for when assessing whether a record is as complete as it should be and investigating the way the record was assembled, factors with the potential to affect the outcome of a case.